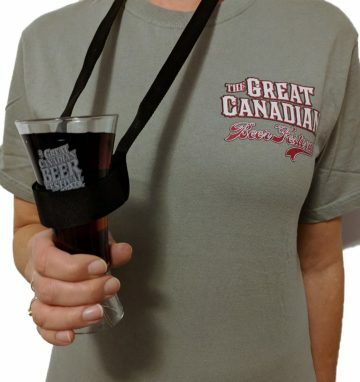 What’s Brewing Magazine of British Columbia, Canada has released a new beer festival lanyard targeted at Canadian craft beer lovers. The Beer Caddy is a unique product that’s used to hold the taster glasses commonly seen at beer festivals. Unlike some similar lanyards, it features an adjustable velcro enclosure, allowing it to hold any size glass right up to a full pint of beer. What’s Brewing publisher Dave Smith notes, “I’ve used this type of beer festival tasting glass holder for years, and can’t count the times people have asked me where to get one.” He believes What’s Brewing is the only outlet within Canada current selling this type of product. 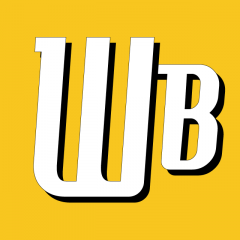 What’s Brewing, which bills itself as The Journal of BC’s Craft Beer Movement, features stories and articles written by BC craft beer community volunteers. Smith reports that any profits resulting from sales of the Beer Caddy will be used to help fund the magazine’s production and print costs. The Beer Caddy sells for CAD $10. Free shipping is being offered to anywhere in Canada. Usage tips are provided with each shipment. More details can be found at the Beer Caddy page on the What’s Brewing website.